The decision by Premier Dalton McGuinty to step down and shut down the provincial parliament leaves many questions about the future of Ontario’s health care. With no parliament, there will be no review of the Local Health Integration Networks, a commitment that the McGuinty government wrote into the original Act that created the Crown agencies. When the government wrote the Local Health System Integration Act in 2006, somebody forgot to calculate that a five year mandated review would take place just prior to a fixed date election. Whoops! McGuinty did suggest that such a review might not be necessary at all until someone reminded him that it was written into the legislation. There was no way the government was going to undertake a review of the unpopular LHINs just prior to going to the polls. In recent months we had heard that such a review was finally going to go to committee. Now that won’t happen. That means it could be seven years before the five-year review happens. Austerity costly to UK economy – is Ontario headed the same way? The McGuinty government is big on British policy imports, from the costly public-private partnerships to his recent mania for austerity. If you want a preview of what’s going to happen in Ontario, look to Britain. This week it became official. Britain is back in recession after having two consecutive quarters of negative growth. Since the austerity-minded Cameron government came to power in 2010, net growth in the British economy has only been an anemic 0.4 per cent. During the last two quarters Britain’s economy has shrunk by 0.2 per cent – this at a time when they had been predicting modest growth. Like Ontario, Cameron’s government is implementing the harshest public sector cuts in a generation. The government has repeatedly responded to criticisms about health care by trotting out statistics describing how much wait times have been reduced since 2004. On Monday Premier Dalton McGuinty suggested to reporters that wait times could increase once cost-cutting “reforms” are introduced in the March budget. Is McGuinty confusing cuts with reforms? What kind of “reform” would citizens buy into that actually lengthened wait times? This makes no sense. The suggestion may also rock public opinion. Ontarians have been sold on the idea that their biggest health care concern is wait times. 82 per cent told the Vector Poll in December that government’s top priority should be to reduce ER wait times. It’s not even election day and the media has already begun navel gazing about why voters ignored the platforms and got hung up on the minutiae of the horse race. The National Post is doing so by trying to analyse the content of Twitter posts. 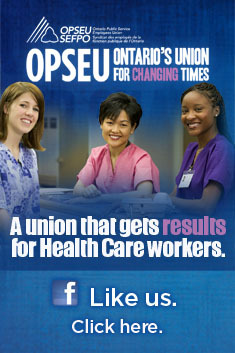 Do they really think this represents the views of typical Ontarians?